Well I do know I love her lip gloss. Three tubes of it sit on my bedside table. A refreshing, citrusy tangerine, a yummy raspberry, and one unflavored concoction of simple, pure, skin loving oils all vie for my attention each night at lights out. In the morning my lips are soft and smooth, but I can't resist one more raspberry kiss before I begin my day. But these are not typical lip glosses. They do not add any color to your lips, because Flynn thinks your lips are the perfect color, just the way they are. She shared with me her guiding philosophy: beauty is within each of us and we only need to take care of ourselves to be radiant. We are Fine from day one. In fact, we are our best when we are natural. Wise words, and while I won't be clearing out my makeup drawer anytime soon, I will be adding more of Flynn's products, which are tantalizing in their natural simplicity (they're also going to make great holiday gifts). Curious about her process, I emailed Flynn asking for more information. Tell me more about your products. 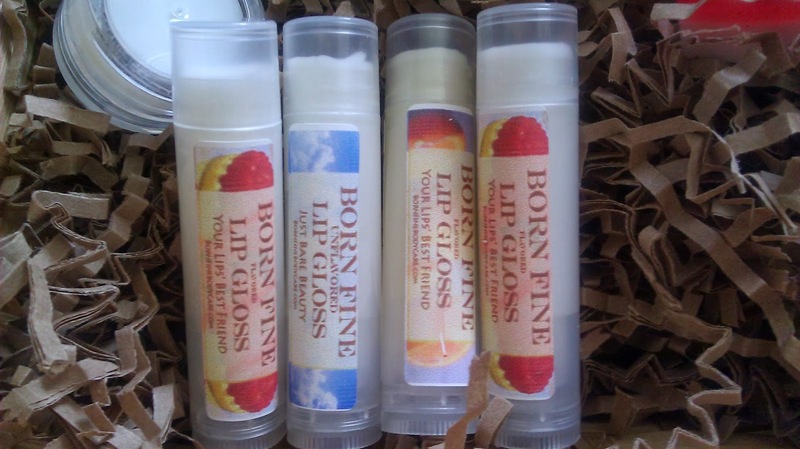 Born Fine Body Care is a nature based body care line I developed while crafting winter gifts for a fundraiser several years ago. I had planned to bring gluten free baked goods but my kitchen wasn't available so I improvised and created some lip balm with a friend. Born Fine was born. 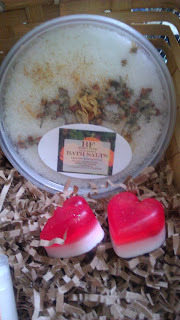 Now, I design handmade body products from natural oils, herbs and flowers. Currently I sell lip gloss, bath salts and face scrubs and masks. I am developing unscented body cremes and hair products by popular demand from my customers. What inspired you to begin concocting? Just a happy coincidence of having the right ingredients and running out of lip gloss. Then the creative juices started flowing for different flavors. I wanted to improve texture and the tint of my tinted gloss so I started to research how to do things properly. I had the help of my experienced friend and local herbalist Elokin. I also call on my friend Elise Loschaivo when I come across a road block in a formula. She has a successful cosmetic line in Maine. Are there certain essences or oils that you especially enjoy working with? As it turns out my coconut oil base makes my unscented products very popular. But chocolate and tangerine are my most popular flavors of lip balm. And I even find myself drawn in when I'm making them. I love combining scents that are not often thought of, like citrus and lavender together. Or finding compatible woodsy scents to make more masculine blends. I am working on a few new lip flavors like Birch and a moisturizing bath tea that uses violets and osmanthus. To learn more about Born Fine and browse its products, you can visit the Born Fine Body Care website. You can Like Born Fine Body Care on its FaceBook page. You can also order products by emailing Flynn at bornfinebodycare@gmail.com.